WINSTON-SALEM, N.C. – Mar. 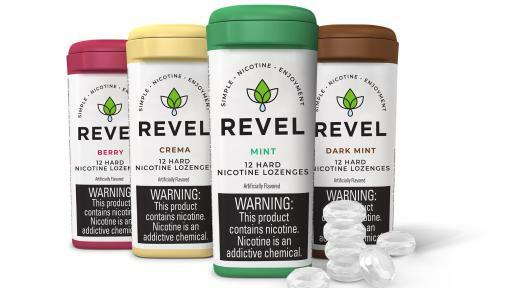 27, 2019 – R.J. Reynolds Vapor Company (“Reynolds Vapor”), an operating company of Reynolds American Inc. (“RAI”), a member of the British American Tobacco Group, today announced that it is expanding distribution of REVEL, a dissolvable nicotine lozenge, to its REVEL brand website. REVEL is an innovative product designed to meet the evolving preferences of today’s adult tobacco consumer. 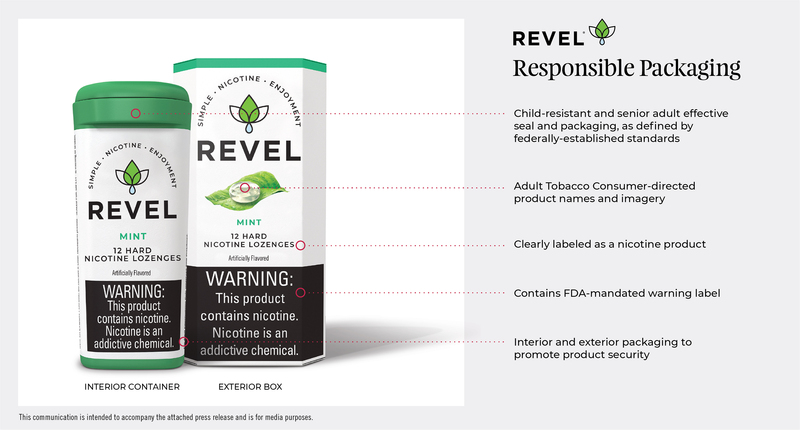 REVEL is a continuation of Reynolds Vapor’s ongoing commitment to transforming tobacco by leading the charge on responsible innovation in the industry. 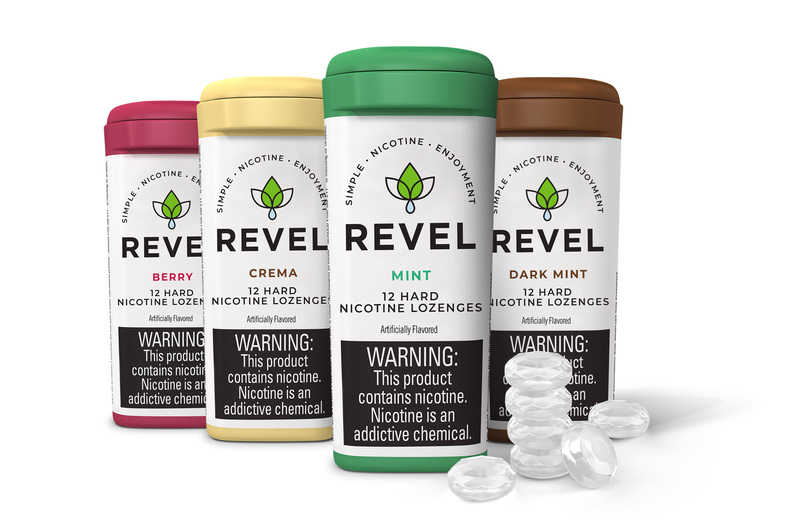 REVEL’s dissolvable nicotine lozenges provide adult tobacco consumers with a unique and quality alternative to traditional combustible and smokeless tobacco products. 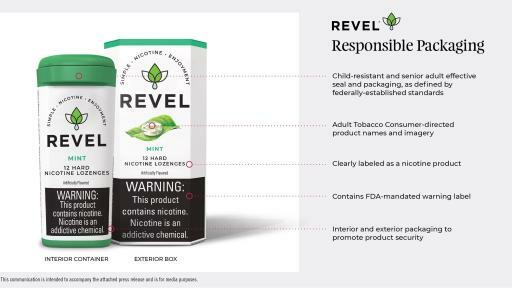 REVEL is made by extracting nicotine from tobacco leaves and infusing it into dissolvable lozenges. This process results in a product that adult tobacco consumers can enjoy anytime, anywhere. REVEL is available via the website, www.thatsrevel.com, in hard and soft lozenge styles and in four flavors. Purchases on the website are restricted to adults who certify they use tobacco products, are 21 or older, and who are age-verified by third-party sources prior to purchase. Important information regarding the use of this product is available on the website and is contained on the product packaging. “At Reynolds Vapor, we are keenly focused on delivering next generation products responsibly. We are extremely pleased to deliver an innovative and enjoyable product that responds to the evolving preferences of adult tobacco consumers,” said Shay Mustafa, Senior Vice President, Modern Oral Consumer Marketing. REVEL packaging is child-resistant as defined in federally established standards. Reynolds Vapor has voluntarily implemented specific guidelines that restrict the content of marketing and advertising materials for REVEL. REVEL retailers are required by law to verify that the consumer meets age of purchase laws and to place REVEL in a non-self-service location. Reynolds Vapor also contractually requires retailers to participate in We Card, a program designed to reduce underage access to tobacco products by providing signage and age-verification training. The We Card program has trained more than 460,000 store owners, managers, and frontline employees since it was founded in 1996. REVEL imposes purchase limits on its website and requires consumers to be age-verified by an independent third-party prior to making any purchases. “Today’s announcement is at the core of our transforming tobacco mission and reiterates our goal to provide adult tobacco consumers with an expanded portfolio of tobacco products focused on responsible innovation and preventing potential youth use,” said Mustafa. For more details, please find information on this frequently asked questions document. About R.J. Reynolds Vapor Company and Reynolds American Inc.
R.J. Reynolds Vapor Company (“Reynolds Vapor”) is an operating company of Reynolds American Inc. (“RAI”), a member of the British American Tobacco Group. RAI’s operating companies remain committed to responsibly marketing age-restricted tobacco products. RAI’s operating companies' marketing communications are designed for, and directed to, existing adult tobacco consumers who are 21 and older. This standard is implemented in a variety of ways. First, direct interactions with consumers via e-mail, direct mail, and consumer engagements are restricted to existing 21+ adult consumers of tobacco products who have opted in to receive communications from RAI’s operating companies that manufacture tobacco products. Specifically, before receiving e-mails or direct mail from an RAI operating company and prior to making any purchase of REVEL at thatsrevel.com, or Reynolds Vapor products at vusevapor.com, consumers must certify that they are a tobacco consumer, aged 21 or older, interested in receiving communications and offers, and must be age-verified by an independent third-party age verification provider. Second, with respect to mass media (print advertising, television, online advertising), Reynolds Vapor employs strict guidelines to ensure that the audience viewership is overwhelmingly adult. In addition to restricting the dissemination of marketing communications, RAI’s operating companies also impose numerous restrictions on the content of those marketing messages. REVEL | Simple. Nicotine. Enjoyment.